This article is the third of a 4 part follow up to the earlier published 4 Trends Transforming the Way We Communicate. It would seem uncanny for me to suggest that we are no longer the masters of our own domain, or at very least the person that knows the most about ourselves, however, the time may have arrived for us to ask that very question. Do we know more about ourselves than the retailers and social media sites we visit online? Perhaps a small experiment that we can perform to test this. Maybe you have done this before and maybe you haven’t. But next time you visit Facebook or Yahoo or another site where you regularly consume content and/or engage in social behavior, take a look at the advertisements that pop up. After you see what comes up, take a few minutes and think about the sites you have searched, the people you have spoken to and other online activity that you have partaken in over the past several days or hours. Are the results that you are finding surprising or stunning in anyway? At first glance this may read like an article on Internet privacy, however, it is not. What I am really eliciting here is the power of big data and how brands and marketers are using it to know more about us than we know about ourselves. If your results are anything like mine and most others, the ads are surprisingly on target and the reason this happens is because brands and marketers have learned to harness big data in a way that makes life more convenient. However, this can also feel a bit invasive. So what is Big Data? For those that are less familiar here is a crash course on what it is and what it means for communication and marketing now and into the future. In the simplest terms, Big Data is all of the information that is being created by individuals, companies and organizations around the world. The volume is massive and it breaks down into two basic types, structured and unstructured data. Structured data is any data that can be easily sorted and managed. Think spreadsheets and databases as an easy way to understand them. While this type of data is the easiest to manage, it also represents a smaller share (~20%) of the total data available. 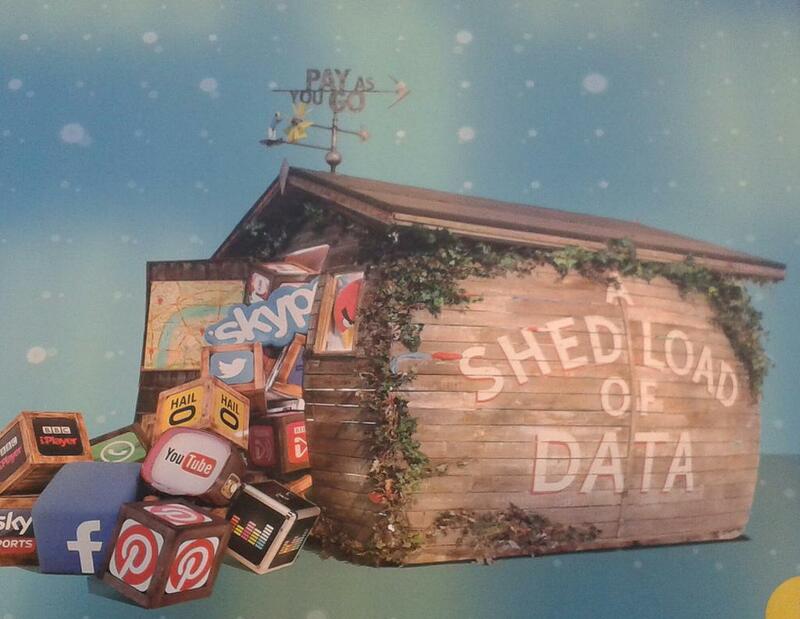 Unstructured data represents everything else you can think of. From our Facebook posts to our Tweets to blogs and videos that are published across the Internet, this content is being created at breakneck speeds with an estimated growth of 80% in just the next year. To put the rapid data creation into a bit of perspective here are some quick facts regarding the amount of data being created each minute online. What Does This Mean For How We Communicate? With this much information being published each and every minute it can mean many things to the way we as humans will communicate into the future. In the simplest terms, the growth of big data means that we will be far more focused on self-education in the future. With so much rich and useful data available to us we are going to know more about any topic we choose by simply employing search and consuming the results. Having said that, we will also be more challenged to separate between the information that is most valid and relevant and what is being sold to us. As a society we trust Google to provide us with the relevant content that we need, but with the increased intelligence via smarter search algorithms and the continued advancements in SEO techniques by marketers, it is hard to tell whether we will really get better search results for us, or better search results for the marketers/Google. After all, we will find what they want us to find, no? Big Data will also be a powerful tool for brands to more accurately connect with the consumer of their choosing. In the earlier days of the Internet, it served as a platform to get messaging out, but it was incredibly difficult to target the message. This got better with search and proliferated further as we became more social and willingly revealed more of our thoughts, attitudes, beliefs and behaviors. This article first appeared on Forbes and can be found here. Image Credit: Creative Commons Via Flickr.